Please, register through our Registration Form. We are glad to continue a new project started the last year within the framework of On Mediation. Training seminar on curatorial theories and practices, which is the Workshop on Critical Writing. 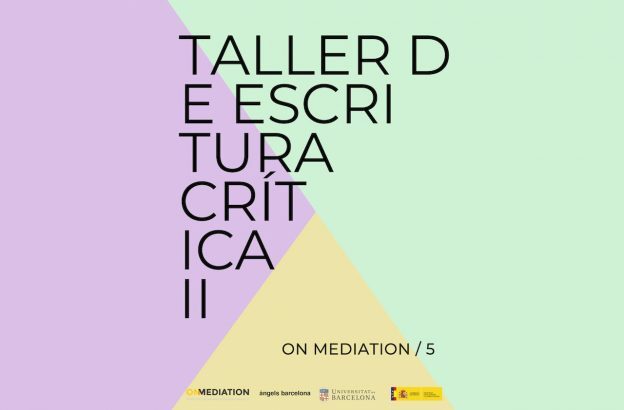 This workshop will underscore the paradoxical nature of critical activity as a new mediation process. Under this point of view, we understand critical writing in the interspaces between visuality and verbality, between interpretation and judgement, between theory and empiricism, between subjectivity and normativity. a) Theoretical-practical session by the visiting expert. b) Supervision of the critical exercises by the coordinators and the director. c) Publication/Broadcast within the announced media: A*DESK, ABC on-line, Youtube (audiovisual) and OMMagazine. *The attendance to the Capsule 0 by Imma Prieto is recommended to the workshops’ attendants. Certificate of attendance: Validated by the Universitat de Barcelona.